Wow. I honestly cannot find the words to tell you how much I loved this book. What a great way to start 2018. Since finishing, I’ve found that many of my friends have not only heard of Curious Incident, but they’ve also read it. This surprised me, as it was a random find for me on a sale table at the bookstore. This tale is told from 15-year-old Christopher’s perspective, as he begins to write a book about his investigation into Wellington’s death and his discoveries. As he investigates, the narrative jumps around a lot, giving us insight into Christopher’s thinking processes and his home life. 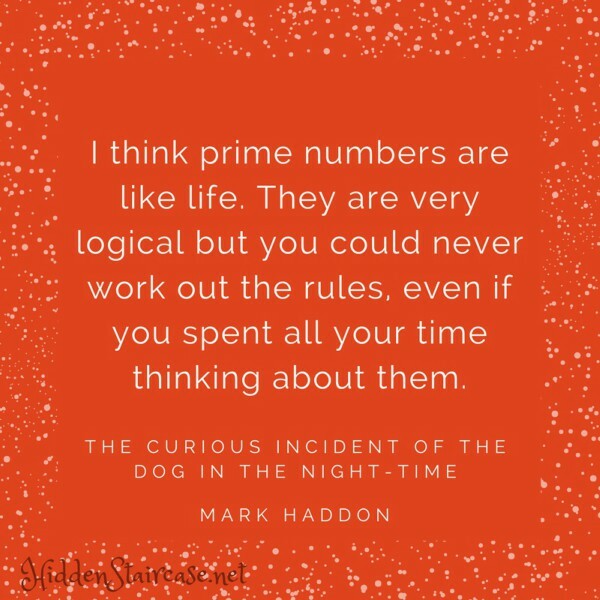 Topics range from observations (prime numbers, timetables) to personal (his daily life, his mother’s death) along with some math and probability problems in between. I won’t say much more because it will venture into spoiler territory, and we all know that I don’t like to go there. This book feels genuine, funny, and real. It is engaging and pulled me in from the first page. Christopher’s logic touches on many truths in life, and the story touched my heart. 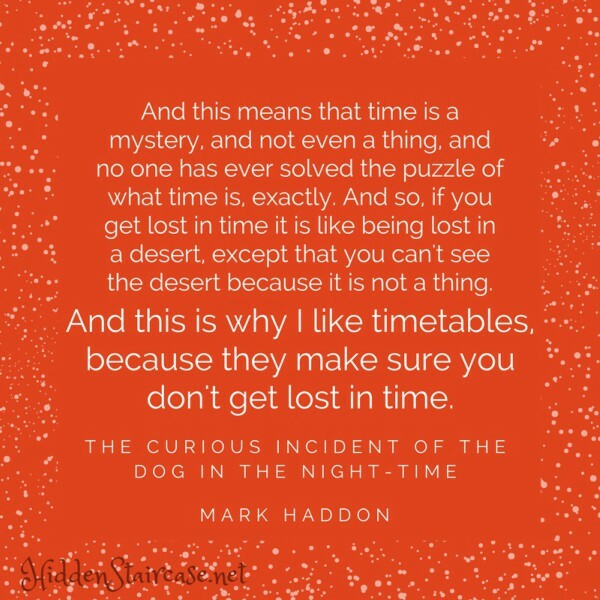 I have recommended this to many friends in the last week, and it turns out I am super late to the Curious Incident party. 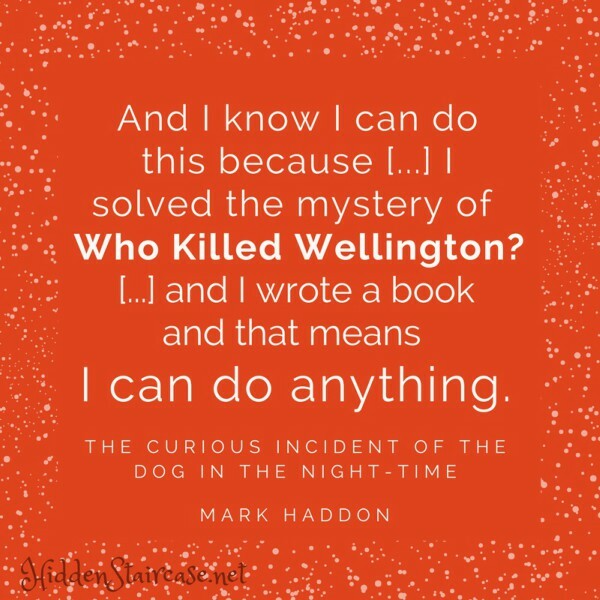 If you’re like me and didn’t know about The Curious Incident of the Dog in the Night-Time — don’t miss this one. It’s a must read. I should note that this last quote I picked for this review is actually the last sentence of the book. This is my favorite quote from the book, BUT it contains major spoilers. I omitted eighteen words to keep it spoiler-free, thus the […]. I haven’t read this book, but I keep meaning to because I’ve heard so many great things about it, and it’s been out for so long now! Great review. Thank you! It really was great – so different than what I was expecting. I remember there was a lot of buzz on this one when it first came out and while I at one point owned a copy I never read it. I’d kind of forgotten about it but you’ve inspired me to get another copy and actually read it this time! I just found out from some friends that there is a play based on the book, and it was in town last summer. I had NO IDEA. I hope you like it, the book turned out to be very different from what I thought it would be! One of my favorites! The Broadway play was also a fantastic adaptation.